People complaining about obesity are on the rise and the condition affects a large number of people around the globe annually. We do not give much emphasis on obesity or weight gain as it has no instantaneous ill effects on the body. But studies has revealed that obesity can trigger various types of ailments and syndromes which can even be life threatening. Some of the severe ailments caused by obesity are cardiovascular ailments, renal failure, fatty liver syndrome, colon cancer, breast, uterine cancer, etc. There are other types of mild or non-lethal syndromes associated with weight gain which includes impotence, osteoarthritis, back pain, decline of cognitive functioning, asthma and respiratory ailments, etc. Historical records suggest the existence of obesity and overweight syndrome in the past but the number of patients suffering from the syndrome has increased over the years. A major reason behind the outbreak of the syndrome goes to the urban lifestyle of man, which has changed significantly over the last few decades. People living in the urban areas are more susceptible to obesity and with drastic increase in urban population especially in the later part of the 20th century, there has been a significant increase in the number of patients with obesity issues. The contemporary professional work involves less physical labor and people spend most of their time sitting in chairs and desks. 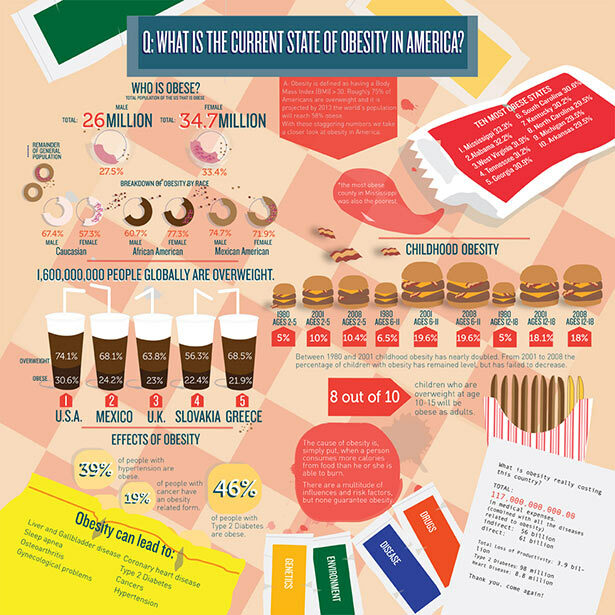 Moreover growth and popularity of fast food centers which are the mecca of unhealthy fatty foods has also contributed in the increase of obesity among people. Treating the syndrome is also difficult as it includes reinforcement and change in eating habits along with physical workout. Many experts and doctors also use behavioral and psychological therapies to treat patients with obesity. Two of the most important factors following which you can fight obesity and put a check on it is by controlling your diet, especially restricting in the consumption of fatty food and by indulging in regular physical workout. Below mentioned are some effective ways following which you can reduce your weight. If you want to reduce your weight effectively, you must make sure that you burn more calories than the amount of calories you get from food. It is hence important that you eat less calorie rich food and practice more calorie burning workouts in order to burn the access fat. Food that is rich in calories and fat must be strictly avoided if you are trying to lose that extra fat from your body. It is simple to understand that if anything is in excess amount in your body (fat), putting a restriction on the consumption will result in the deficiency of the same. But for many patients it is difficult to put a total ban on the fat rich tasty delicacies and food items that they had been consuming. But with self-control, determination, and patience; along with the help and support from friends and relatives you can effectively put a check on the consumption of calorie rich food. The breakfast is termed as the most important meal of the day. You consume your breakfast after an average interval of 6 hours which implies that your stomach is basically empty in the morning when the breakfast is being consumed. Hence whatever is consumed in the breakfast is instantly absorbed by your body. Therefore you must make sure that your breakfast is low in calories and rich in nutrients and fiber. Fruits such as bananas, apples, kiwi fruit, grapes, oranges, etc. are idle for a healthy breakfast. Yogurt, skimmed milk, cornflakes, oatmeal, etc. also works best when consumed in the morning. Many patients suffering from obesity consume a hefty lunch. You must concentrate more in consuming leafy and green vegetables during the lunch like the fruits in the breakfast. You can choose from vegetables such as cabbage, carrots, tomatoes, broccoli, spinach leaves, etc. in your lunch. If you are a non-vegetarian, try eating fish such as salmon, tuna, mackerel instead of chicken, mutton, pork, or beef as unlike meat fish is low in fat and high in proteins and essential oils such as omega 3 fatty acid which is beneficial for your heart and puts a check on the growth of cancers and tumors. You can also consume eggs making sure that you consume only the egg whites as the yellow yolk is extremely rich in fat. Dinner must be light and you can eat a combination of the above mentioned food items. You can also include brown rice and vegetable soup in your dinner. The quantity of food you consume in your dinner must be less than that of your lunch or breakfast. Also make sure that you consume your dinner before or within 8 o’clock in the evening. Late night eating has proven to increase weight regardless of the consumption of nutritious food items. Some food items that you must consume if you are willing to reduce weight are fruit juice, green tea, vegetable juice, oatmeal, and plenty of water. Consume water before eating lunch and dinner as it occupies space in your stomach thus allowing you to eat less. Vegetable and fruit juices such as carrot juice, orange juice, and lime water are highly nutritious and gets easily digested. Citrus fruits such as lime and oranges are a great source of Vitamin C which helps in weight reduction. You can even consume vegetable and fruit salads with vegetables such tomatoes, cucumber, carrots beet root; and fruits such as oranges, pineapples, apples, mangoes, grapes, etc. 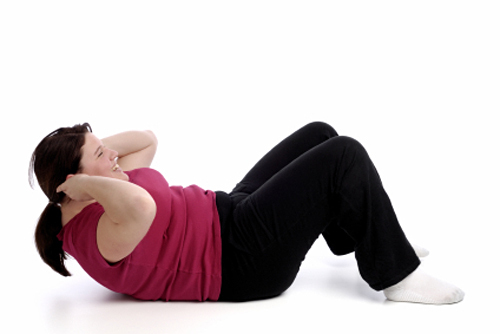 Physical activity and workout is an important aspect of an effective weight loss program. You can’t expect to lose weight just by dieting as it will not help you to the burn the excess fat stored in your body. Physical workout increases the metabolism rate and converts the fat stored in your body into energy required for performing physical activity. Cardiovascular workout such as jogging, swimming, cycling, etc. are extremely effective in reducing weight. There are numerous exercises which you can opt for in the gym and the physical trainer will recommend the one that suits your body type and fulfills your requirement. Gym exercises generally incorporates jogging on a treadmill, body ball exercises, stretching, elliptical trainer workout, indoor cycling, underwater exercises, etc. Practice of yoga makes you strong from the inside and improves your immunity. Various types of yoga have been developed over the years such as Bikram Yoga (also termed as Hot Yoga), Hatha yoga (also termed as Forest or Out-door yoga), Ashtanga Vinyasa Yoga (also known as Power yoga), Tribalance Yoga, etc. which are effective in weight loss along with several health benefits. Yogic practices require precision in order to be effective and hence receiving training from an expert is essential. It is widely practiced all over the world and many trainers and teachers are available who can guide you in performing yoga effectively. Meditation is an effective way of soothing your mind especially when you are going through a change. Diet and exercise can cause depression and psychological imbalances and mediation can be an effective tool for treating these effects. Meditation will not help directly in the burning of fat but will relieve you from the stress that arises from dieting and exercising. By following the above tips and along with combined effects of proper vision, perseverance, approach, responsibility, and belief you will surely gain positive results and lose weight effectively. Fighting obesity is not that a difficult task and with the right approach and determination you will surely be able to overcome the ill effects of obesity and live a healthy life. This is a guest post by Aidan Bertie from DoctorsHealthPress.com. If you are also interest to write for HealthResource4u, Please check our guest posting guidelines at write for us.